Middlesex students and staff from Theatre Arts ran their own pop-up venue at the Edinburgh Fringe festival for the first time this year. A unique and tightly packed programme boasted comedy, drama, family fun, magic and mime, with 142 performances of 19 different shows and installations in just 23 days. Whether performing, working backstage or managing the venue and audiences, Middlesex students had the opportunity to gain vital industry knowledge and exposure. The 164 hours of total performance time attracted almost 1500 audience members and 154 press and industry visitors including reviewers, programmers and casting agents. Bruce Adams, Graduate Teaching Assistant for Theatre Arts at Middlesex, oversaw the smooth running of the venue. “Running a three-week programme as varied and unique as ours is no mean feat. 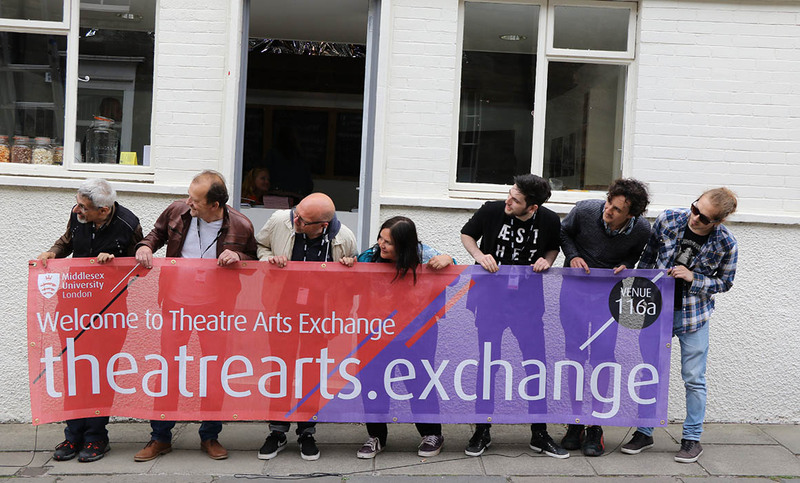 "I am extremely proud to have had a leading role in making Theatre Arts Exchange something genuinely new and exciting at the greatest open-access arts festival in the world,” Bruce said. James Cross, MA Theatre Arts student, took his piece Scenes from an Urban Gothic to the Fringe with Theatre Arts Exchange. “All the work I’ve done this year has been building towards this experience, and it’s really exciting that it’s here in Edinburgh at the biggest arts festival in the world. It’s such a unique opportunity,” said James. Joel Brogan, also studying on the MA Theatre Arts programme, was a member of the front-of-house team for Theatre Arts Exchange, as well as performing. “It was daunting to start with, we had lots of things to figure out and organise, but then when you’re actually up in Edinburgh it’s a really nice feeling. It was a lot of fun,” said Joel. “Whilst Edinburgh is now over for another year, the experience will continue to shape and inspire our students and graduates as they forge their own careers in the performing arts and entertainment industries,” says Nicola Stammers, Director of Programmes for Theatre Arts.